With our departure from inner London imminent there was just enough time to check a few more sites. 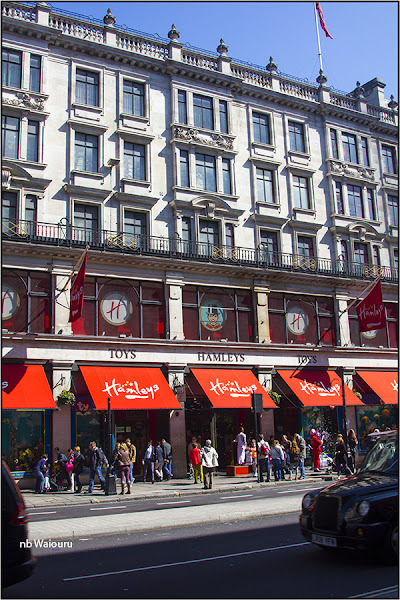 First stop was Hamleys Toy Store. My mother brought my brother and me here in 1958 telling us it was the largest toy shop in the world. I don’t know if it was true then but I’m almost certain it’s not true today! However it is reputedly the oldest toy store in the world. I didn’t go in… in case I was compelled to buy something! 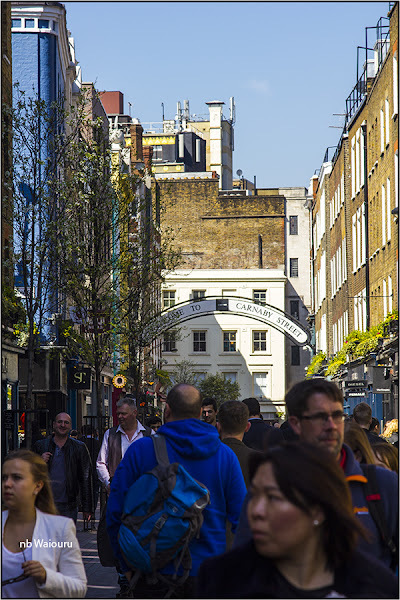 I’m a lad of the 60’s, Elvis, Cliff Richards, the Beatles, Twiggy, Jean Shrimpton, mini skirts and Carnaby Street. Well visiting the latter proved to be a disappointment. Just some of your usual high street shops. No atmosphere whatsoever! 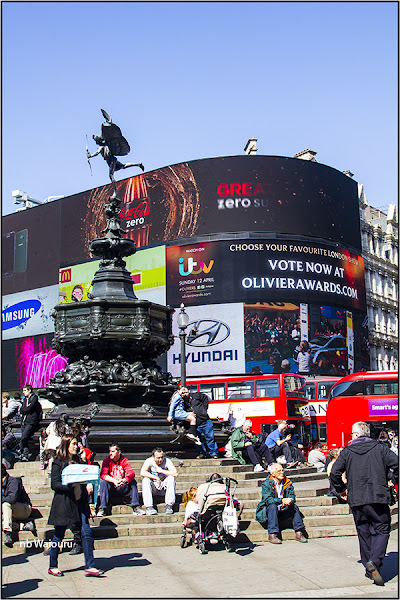 Even Piccadilly Circus has changed. I’m sure the traffic went around Eros in 1958. Today that doesn’t appear to be the case? This building is not only controversial but also ugly. 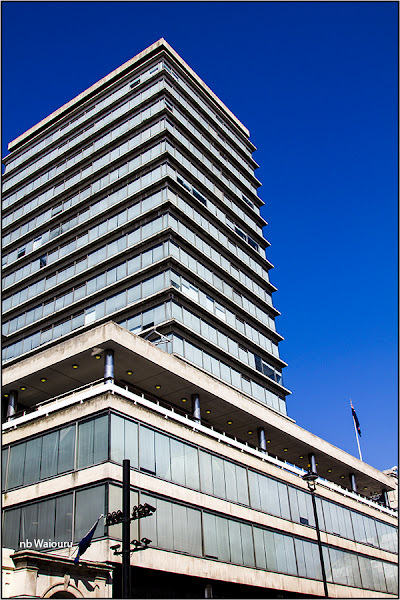 It’s the only modern style high rise in the area around Trafalgar Square. Special planning dispensation from the UK cabinet was required for it to be constructed. It’s total out of character with the surrounding buildings and IMHO looks like a grubby multi-storey public lavatory. 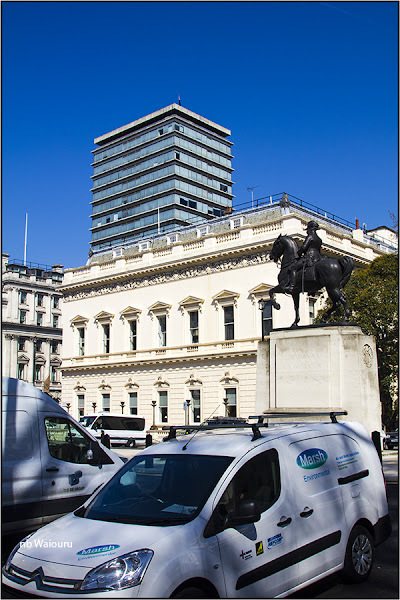 Yes…… it’s New Zealand House, the home of the NZ High Commission! I must confess there was one element of the building that bought a smile to my face. 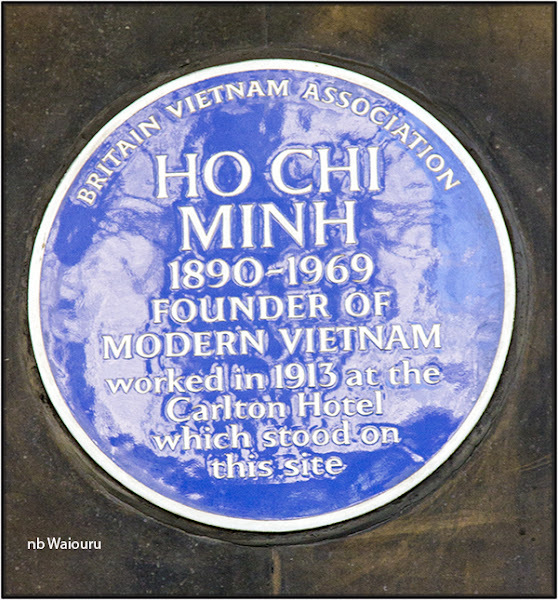 There’s a blue plaque on the wall beside the main entrance. Uncle Ho was the enemy during the Vietnam War and now he has his name on the NZ High Commission this huge lavatory. 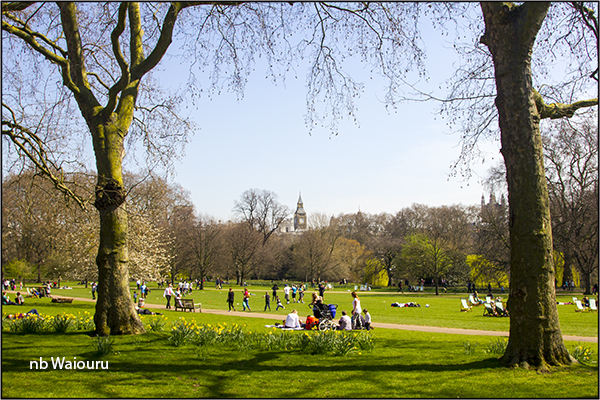 Having already walked around Hyde Park and knowing we would pass beside Regents Park, I decided to walk around St James Park and Green Park. Henry VIII purchased this land from Eton College in 1532. The land was swampy and the River Tyburn flowed through it. James I subsequently had the land drained and a park established. His son, Charles II opened the park to the public and it quickly gained notoriety as the haunt of highwaymen and for acts of lechery. At one end of the park is Buck House. The Union Jack was flying rather than the Royal Standard so I guess Liz is on holiday. 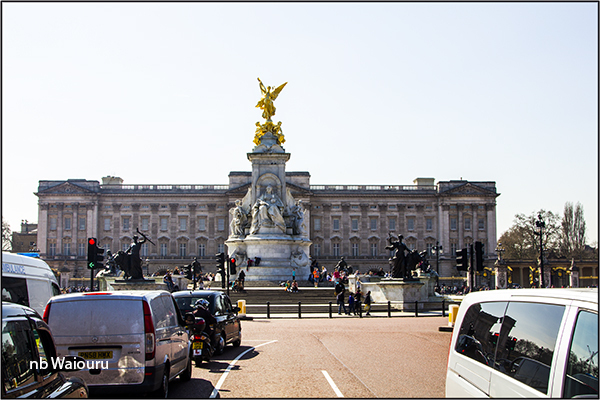 When I lived in London as a boy the guards at Buckingham Palace were located outside the perimeter fence either side of the two main gates. However in 1959 a female tourist was pestering a guardsman, reputedly attempting to take his photo when his was marching. When the guardsman reversed his direction of march he apparently stamped on her foot. She complained to the police and the guardsman was subsequently punished. Not long afterwards the guards were relocated to positions inside the fence where the public couldn’t pester them. I heard an interesting tale about the adjacent Green Park. It contains no flowers. This was because one queen happened to notice her king picking the flowers in the park and giving them to attractive young ladies. She ordered all flowers be removed. 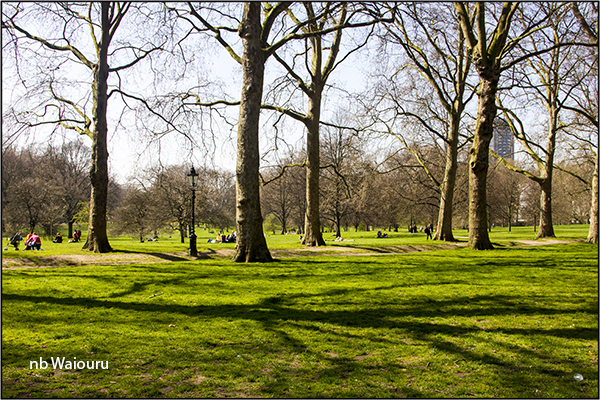 Hence Green Park.